A coworker and I were working on the boiler in this building, and he told me to go to the kitchen and check the water temp at the sink hydrant. 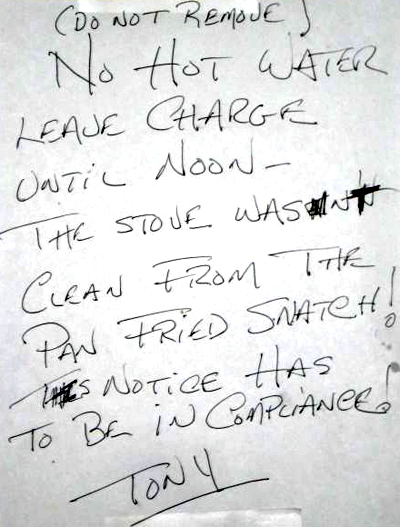 This note was posted over the cook stove. It must have been pretty recent, as it alluded to “No hot water” which was part of the boiler complaint.